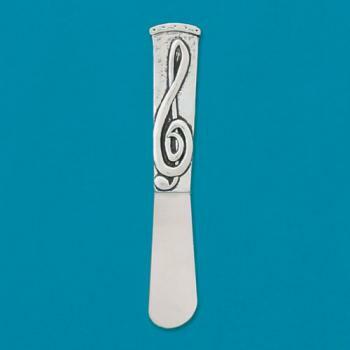 Basic Spirit's Small Treble Clef Pate Spreader is available to compliment your Basic Spirit Serving Board. The handle is pewter and the blade is stainless steel. It measures 4.5" long and goes perfectly with the Mini Violin board. It is sold singularly or in sets of two or four. You may decide when you add to cart. We will include a gift box for the sets if you wish.